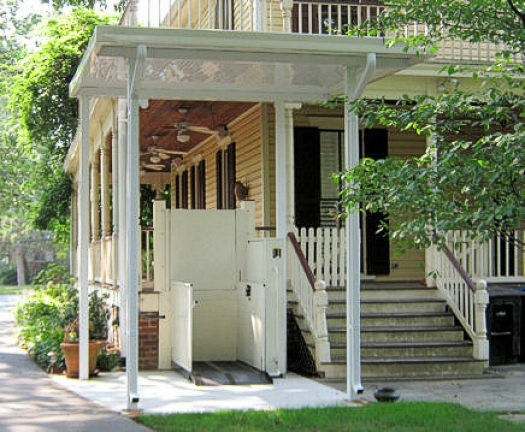 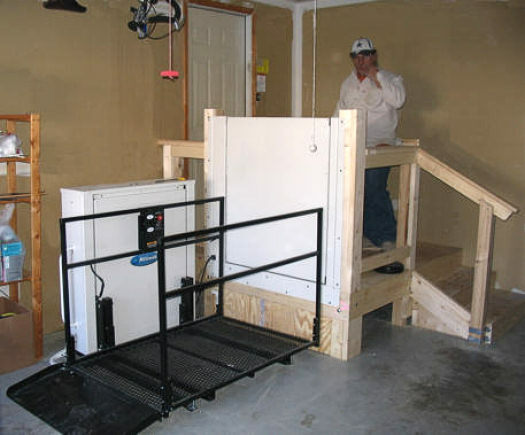 We modify homes for accessibility and ADA compliance (Americans With Disabilities Act). 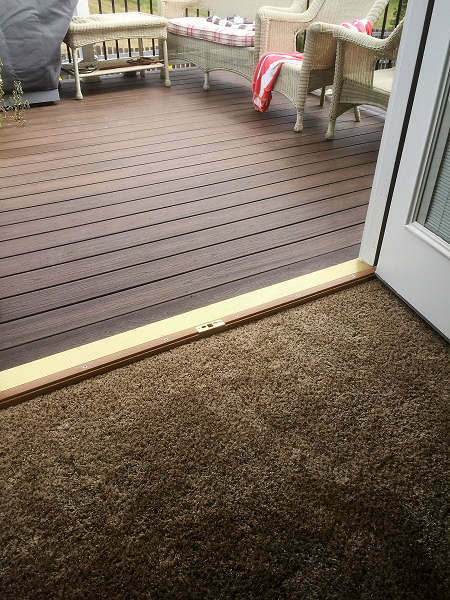 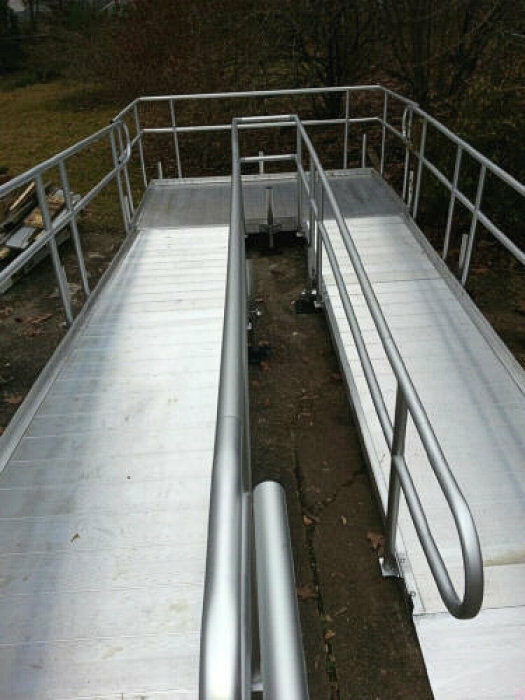 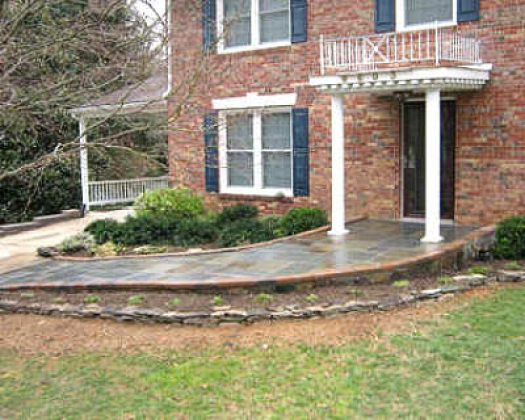 We modify homes to create accessibility for Veterans, including ramps, wheelchair lifts, railings, and more. 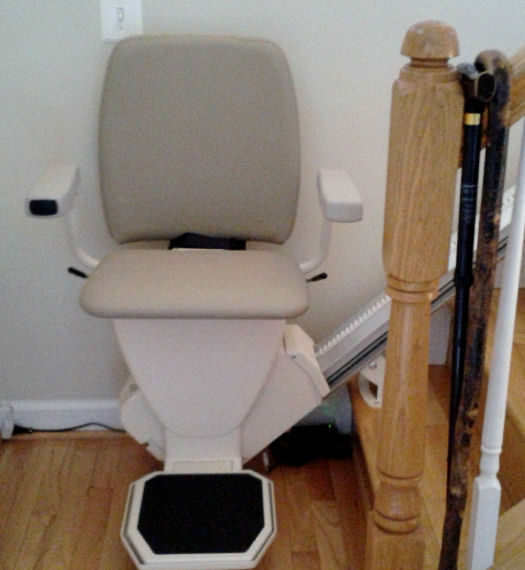 The stair lift view from the top of the stairs shows how the seat folds up. 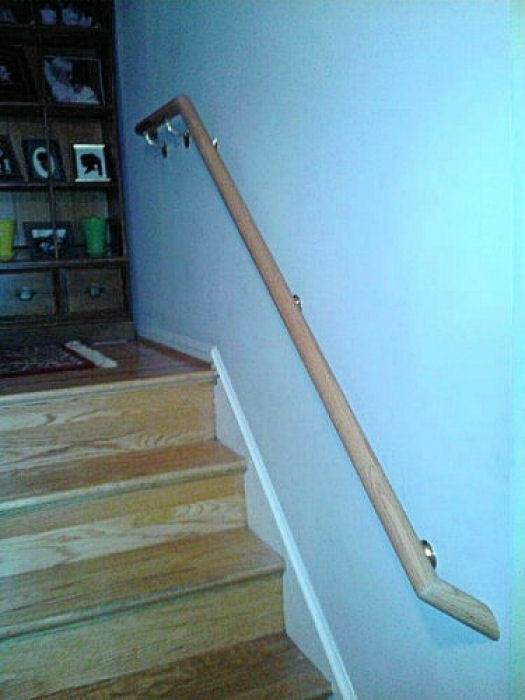 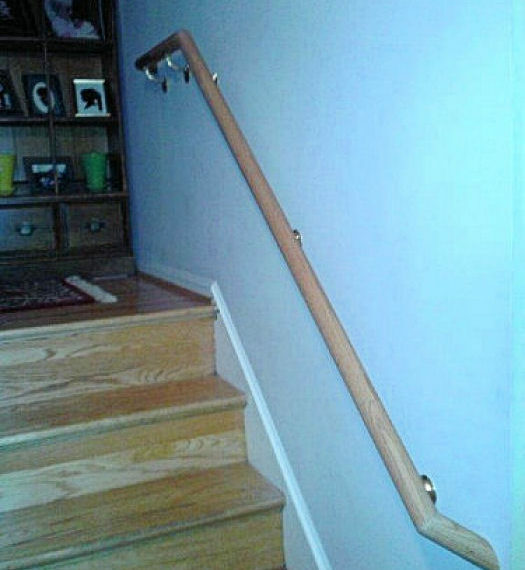 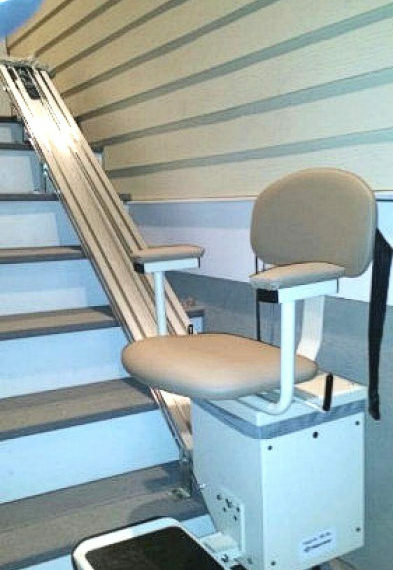 No more worries about falling on the stairs. 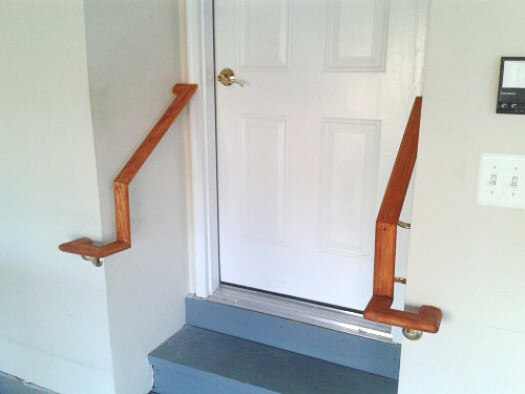 Made to fit your space. 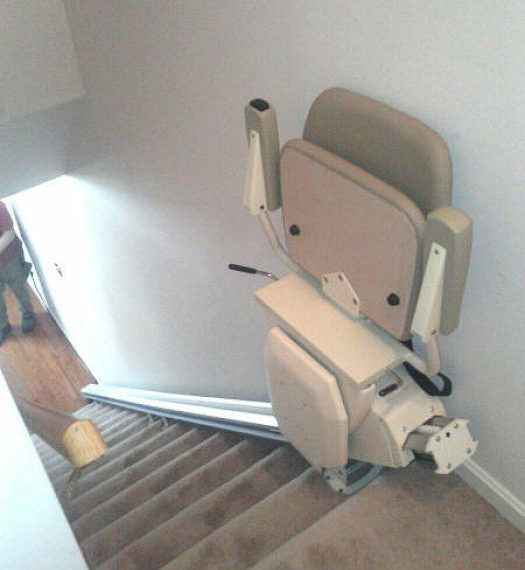 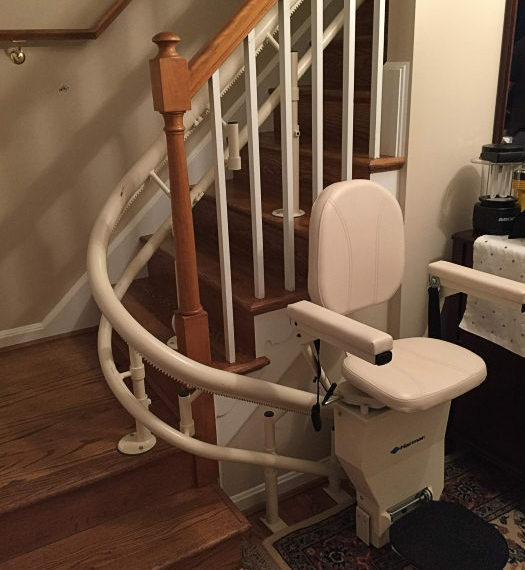 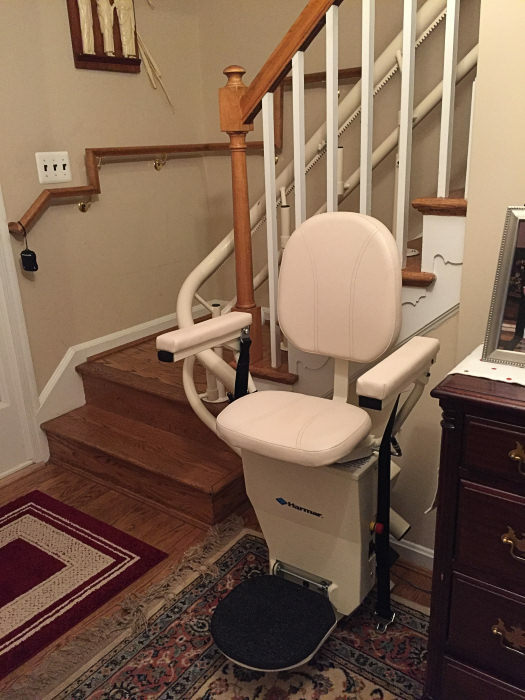 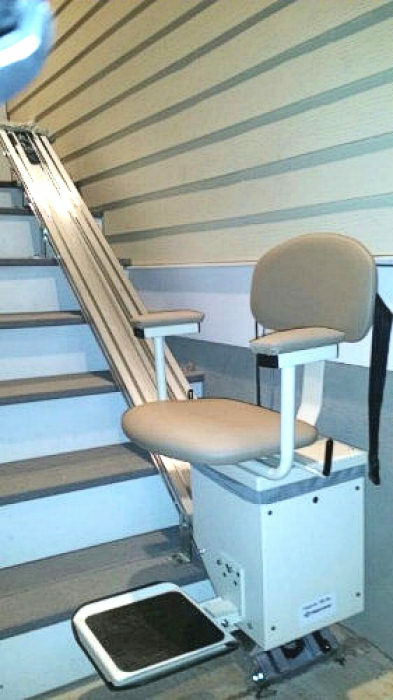 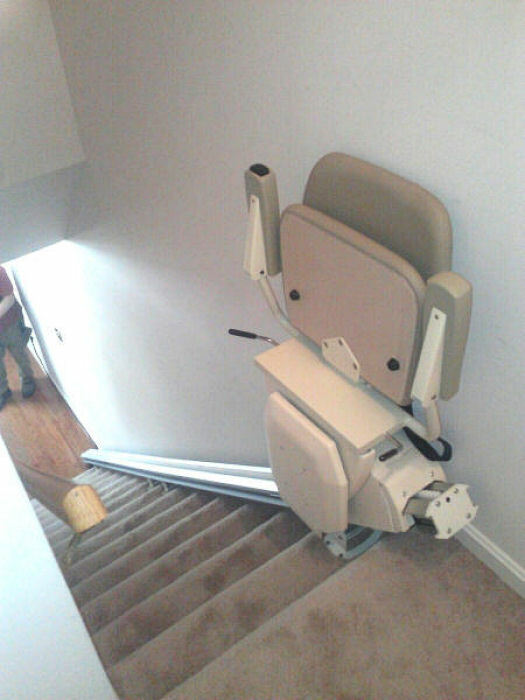 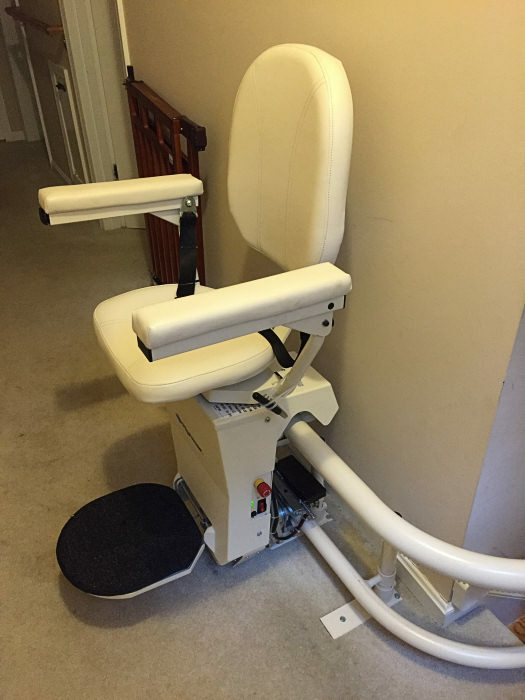 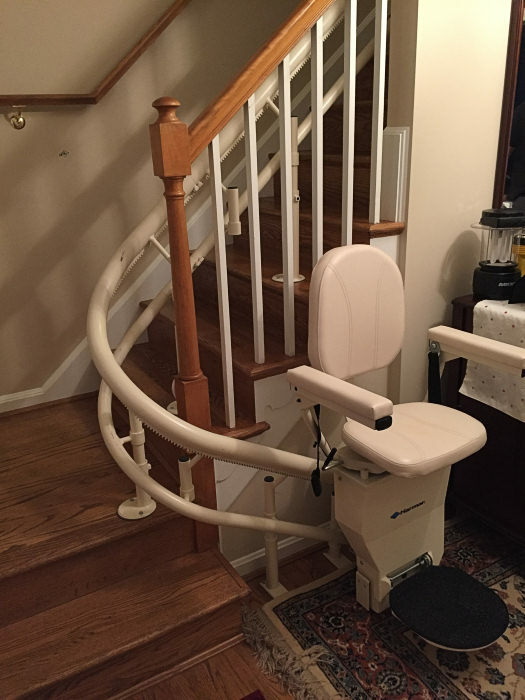 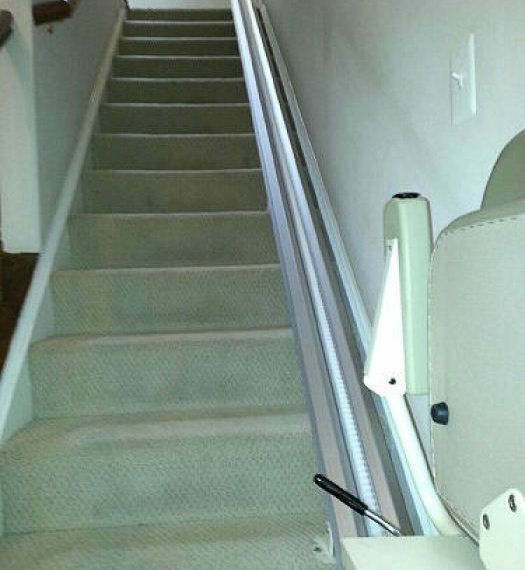 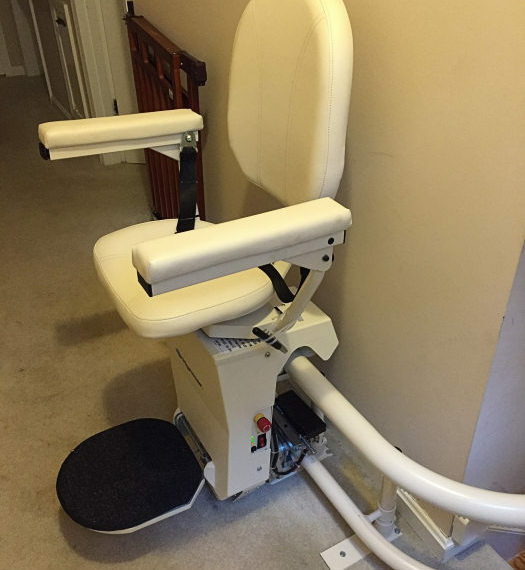 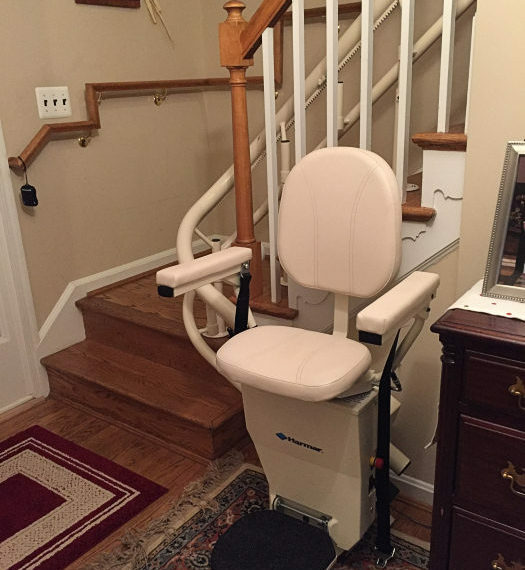 Age in place with this custom stair lift. 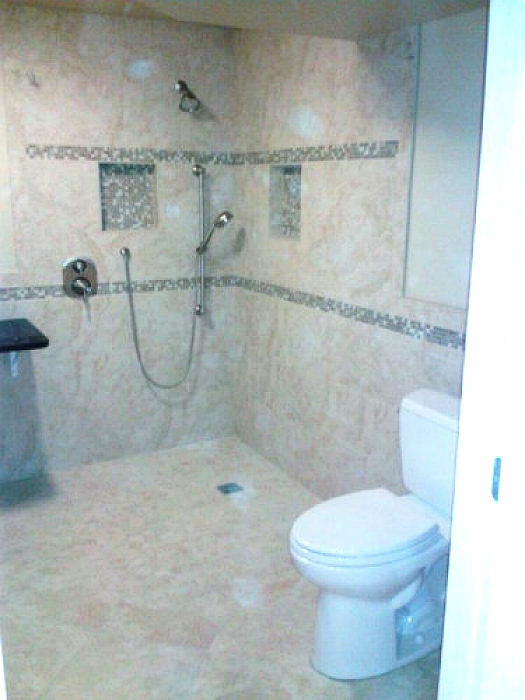 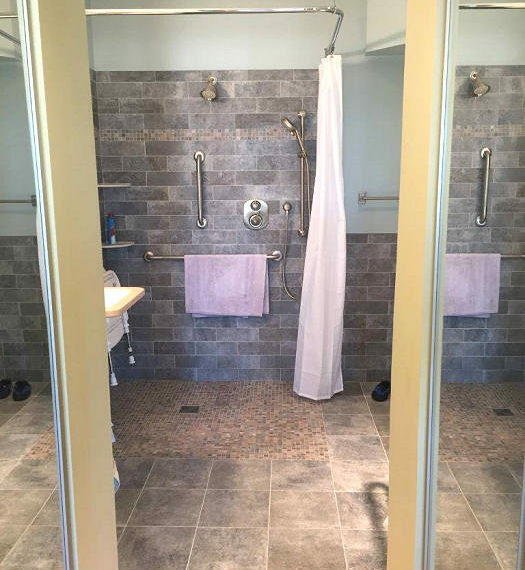 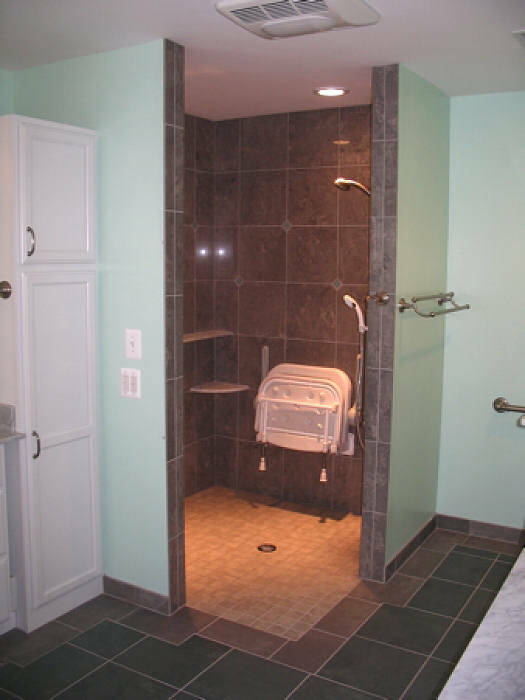 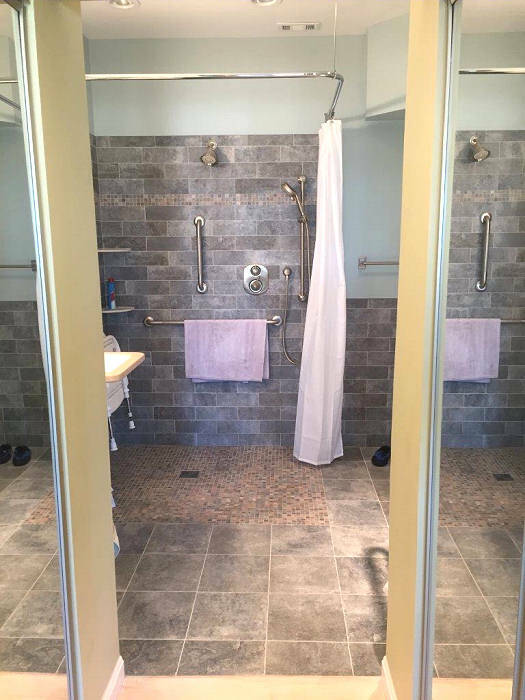 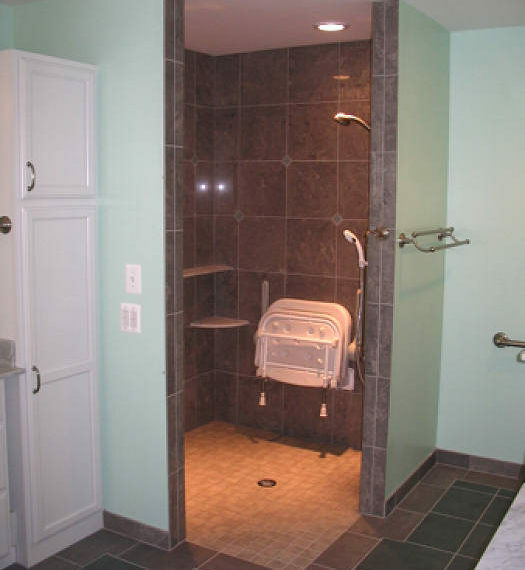 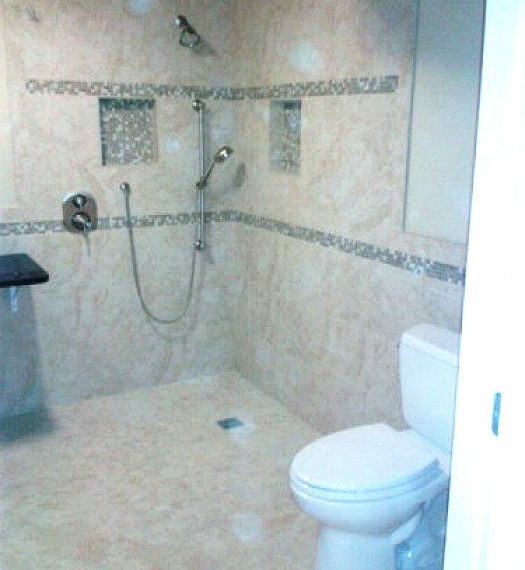 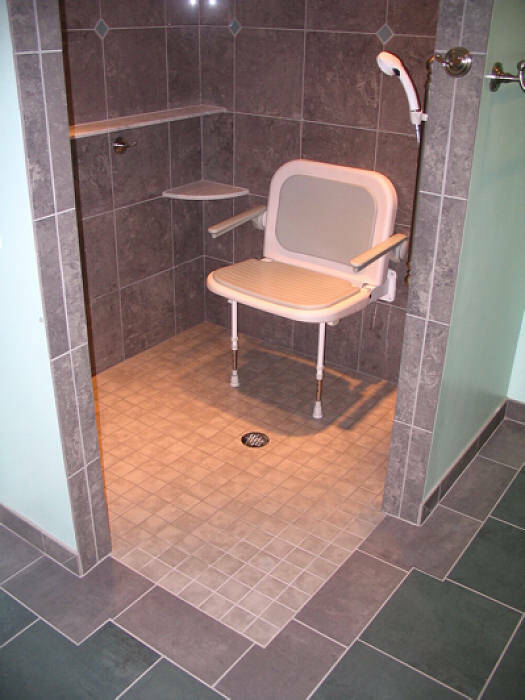 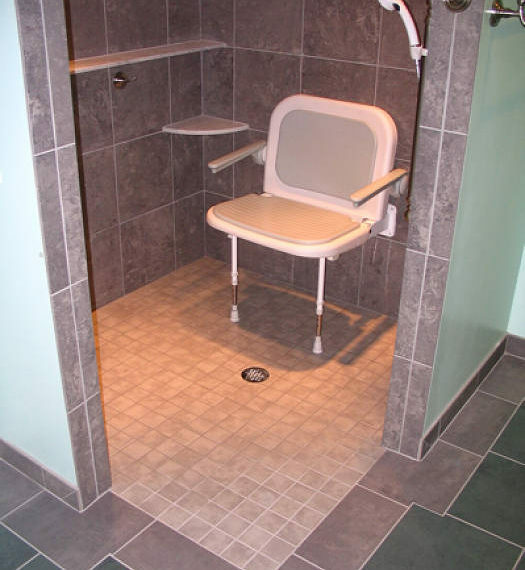 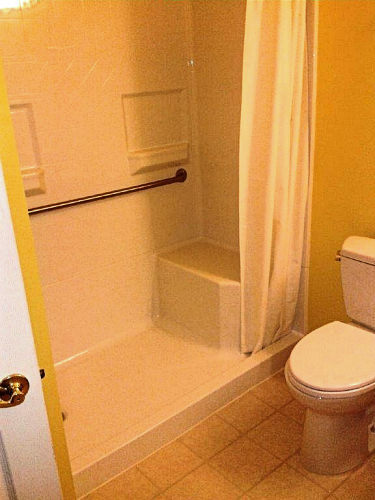 Roll-in shower for wheelchairs makes it easy and safe to move from shower to sink to toilet. 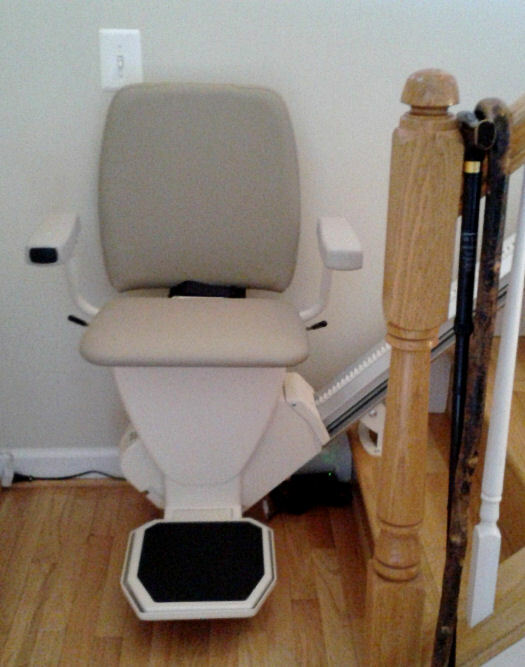 View of curved stair lift from the top of the stairs. 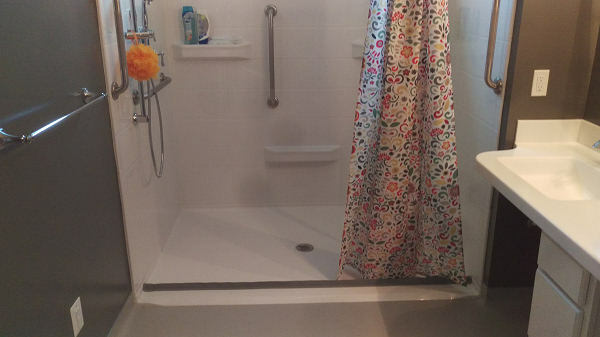 Low curb keeps water in and makes getting in and out of the shower easier and safer. 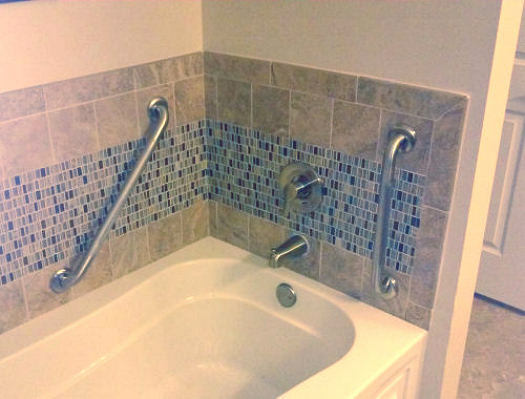 Grab bars are installed around bath tub area to make it easier and safer to step in and out. 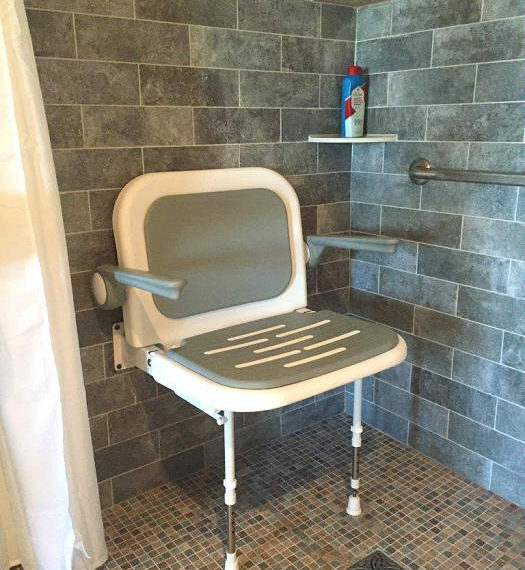 Chair folds up when not in use. 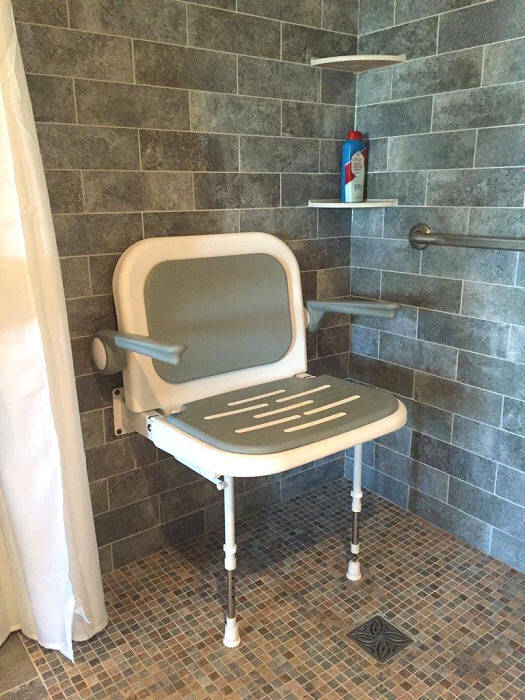 Shower seat in closed position. 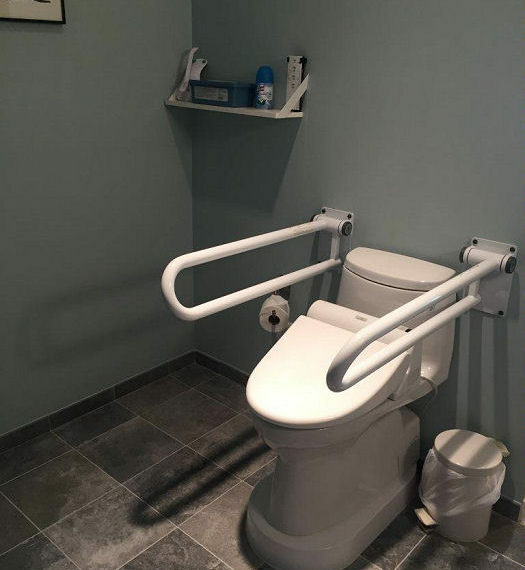 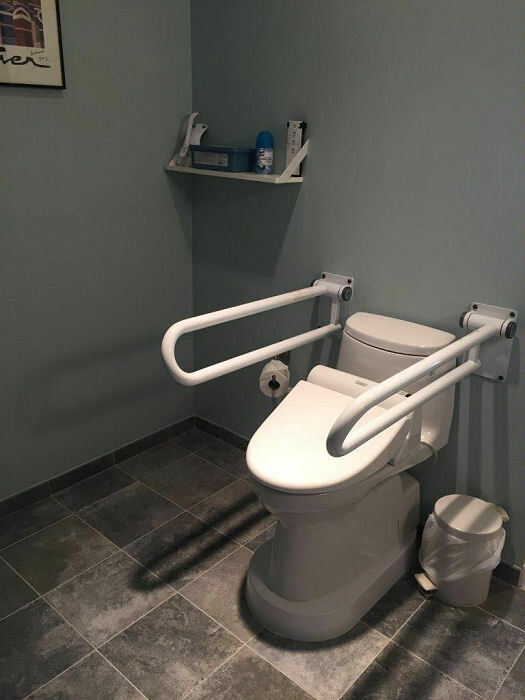 Raised toilet with hand rails. 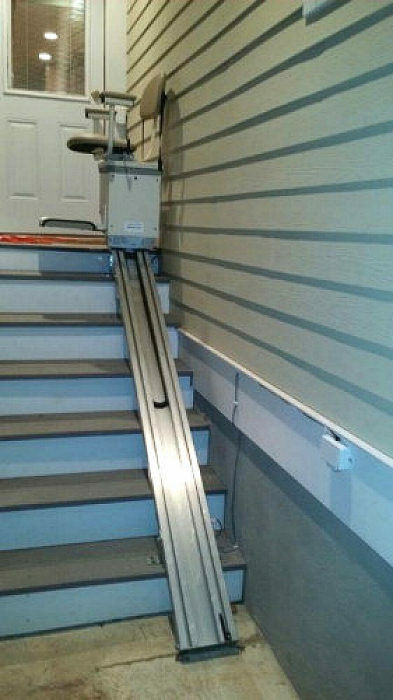 Wheelchair rolls right over the rubber curb. 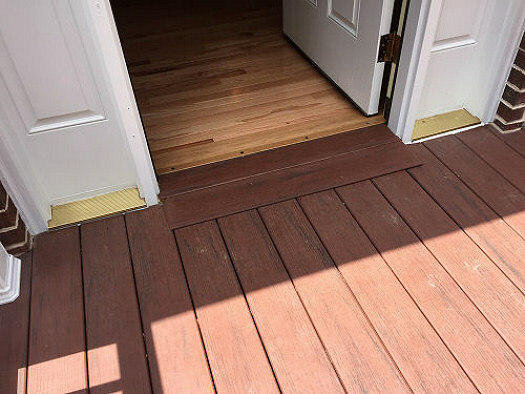 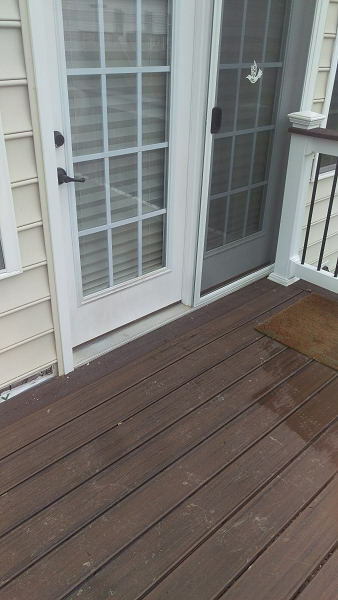 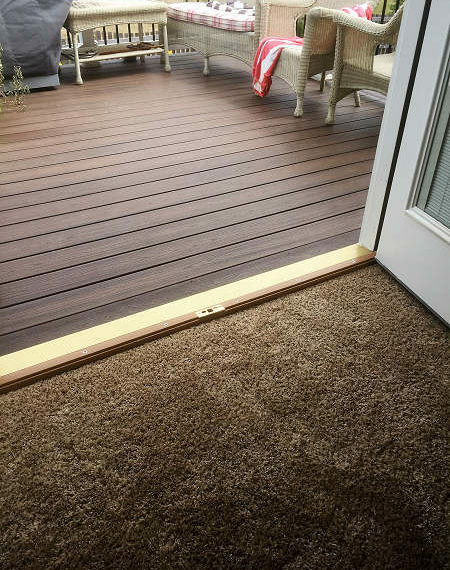 Easy access to the deck. 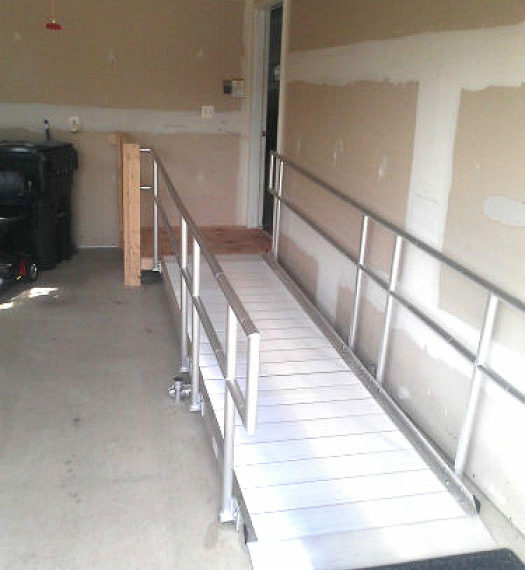 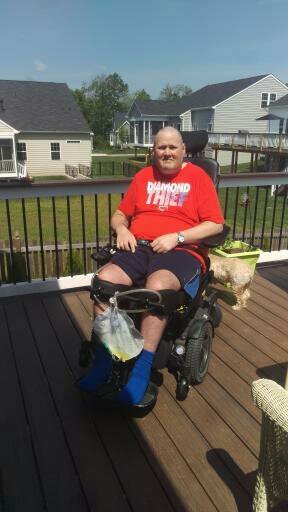 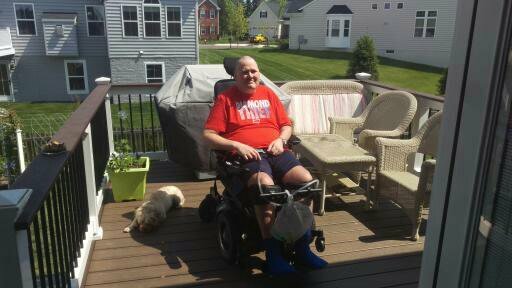 Wheelchair access from driveway to house. 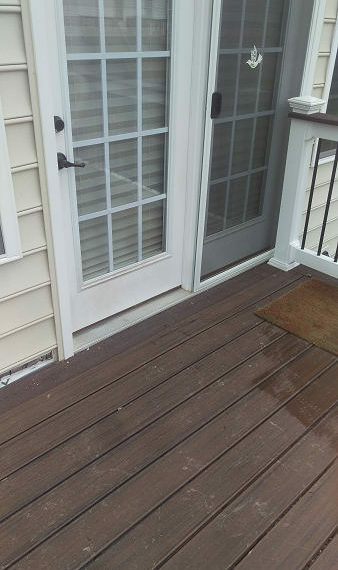 From driveway to front door. 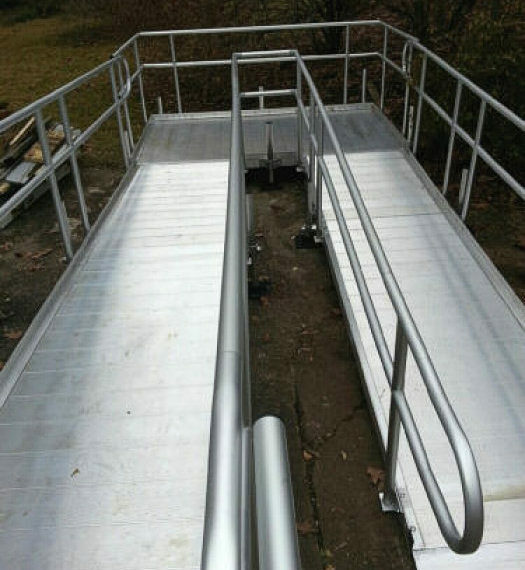 Built to fit your requirements for entry. 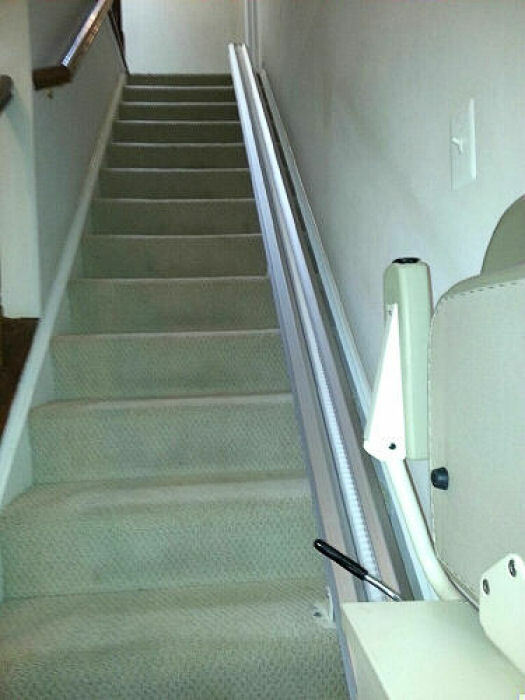 A smooth threshold for wheelchair access. 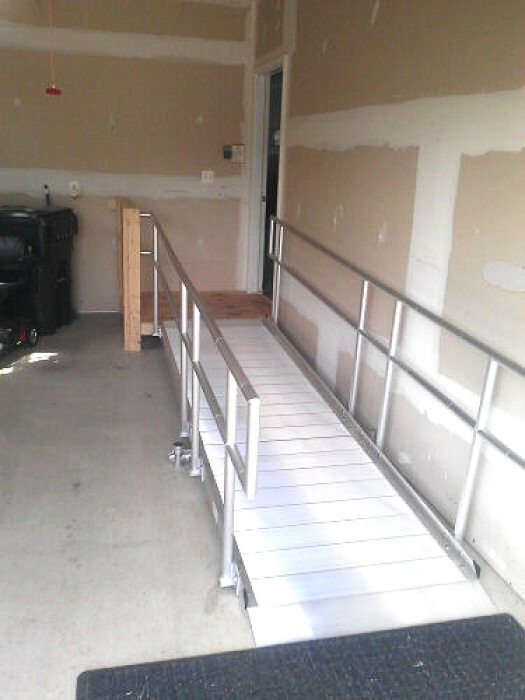 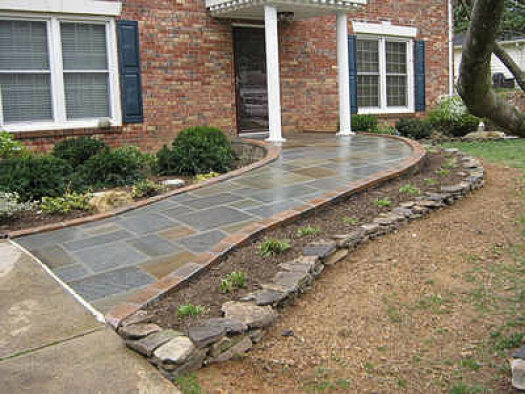 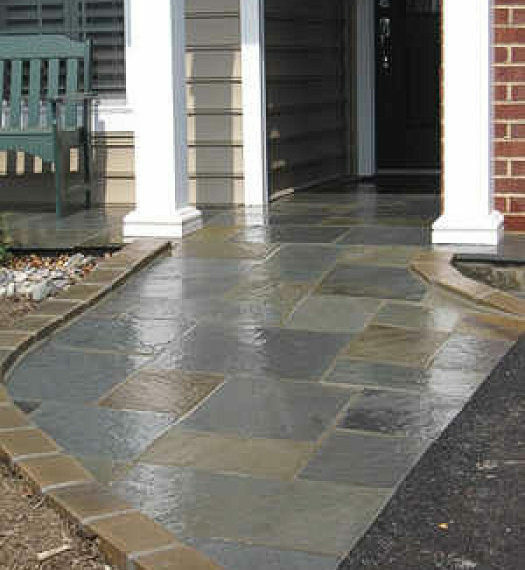 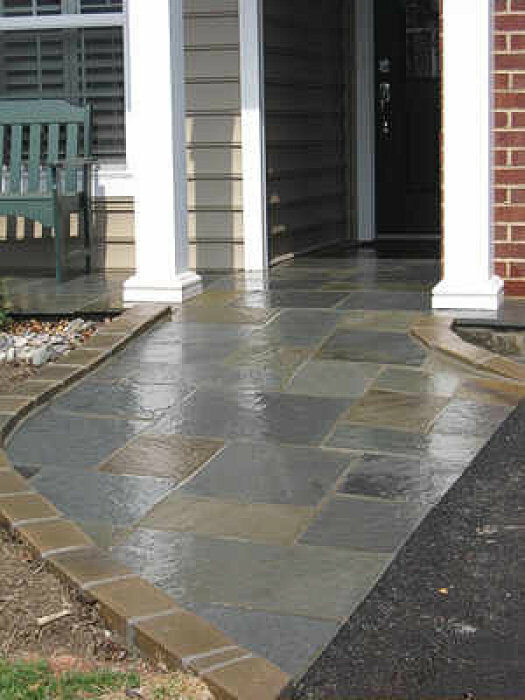 Provides safety navigating those few steps leading from the garage into the house. 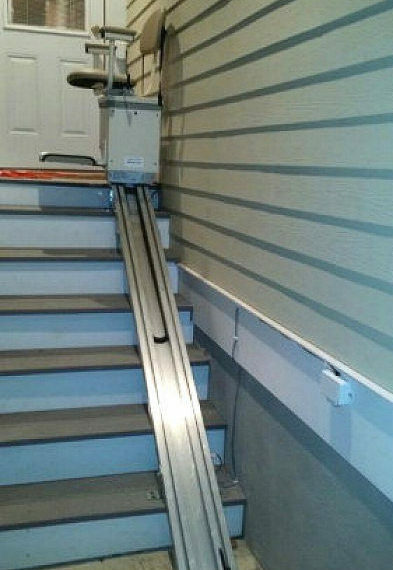 Provides access from the garage to the indoors.